Pollution is one of the biggest causes of climate change in whole world. 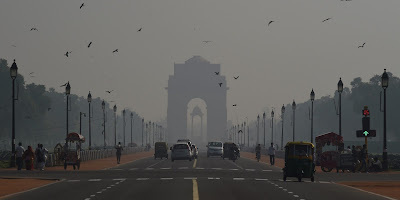 According to the global environment performance index (EPI) 2014, India has reached a rank of 155, slipped 32 ranks form the previous year., it is disheartening that Delhi, the national capital of India is being tagged one of the most polluted city in the world. It is world’s worst city for air pollution. Air pollution: Carbon dioxide is an atmospheric constituent that plays a vital roles in the environment, CO2 absorb infrared radiation in the atmosphere. It is the main the raw material for photosynthesis and its carbon is incorporated into organic matter in the biosphere and may eventually be stored in the earth as fossil fuels. During the autumn and winter months, some 500 million tons of crop residue are burnt, and winds blow from India’s north and northwest towards east. We have burning ever increasing amounts of fossil fuels ( coal, oil, gasoline, natural gas). Because of the fossil fuels burning Carbon dioxide. we all know about the ozone layer function. That is mostly prevent to ultra violate ray which is coming from direct sunlight. While the dominant gasses of the atmosphere (nitrogen and oxygen) are transparent to infrared, the green house so called greenhouse gasses, primarily water vapour (H2O), CO2, Methane (CH4) absorb some of the infrared radiation. Its effect global warming . Deforestation is also the main causes of global warming. According to the Ambient Air Pollution report for the year 2014, Delhi had PM 2.5 pollution levels, which is the highest level in the world. Various type of serious disease like cancer caused by air pollution. Major air pollutants are like carbon monoxide, nitrogen dioxide, sulphur dioxide, benzene that is directly impacted on health. carbon monoxide(co) that is very dangerous to causes pollution, is around 6,000 microgram per cubic meter in Delhi, which is much above the safe level. The safe level of co is 2,000 microgram. The nitrogen dioxide has also been increasing. 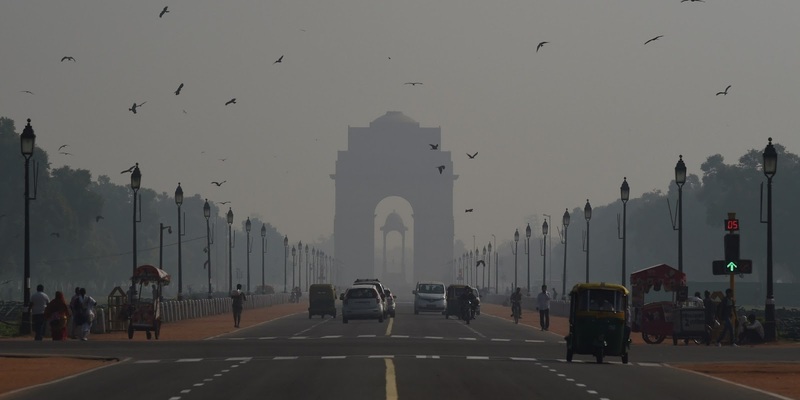 The Air Quality Index (AQI) is very poor in Delhi according to the ministry of earth sciences. AQI is about how the air clean or polluted is. Today, air pollution is happened by Increasing the no of vehicles specially that type of car which car is used diesel fuels engines. Most of the old vehicles that are not serviced regularly polluted the air more. Air pollution is also caused by many industry , as many as 10,000 people a year may die prematurely in Delhi because of air pollution. “Prevention is better than cure”. Pollution must be prevented rather than letting it go and than dealing with it. India has been working hard to improve the air quality since last 15 years. Delhi as a metro peloton city it can be one of the way to reduce the pollution, by using metro for travelling. Water pollution: It is another major pollution. It causes by textile dyeing, rolling, pickling units, cleaning and washing metal, disposal of chemicals. Now a days the water become acidic, not only acidic but also including heavily iron, arsenic, cadmium, copper, nickel, led that is why water borne disease and infection, stomach pain are rapidly increasing. Water pollution and a lack of solid waste treatment facilities have caused serious damaged to the river on whose banks Delhi grew, the Yamuna. Noise pollution : The noise is generated from the machine, generator and bike, automobile traffic. However , since the environment is a complex, variable and extensive system, protecting the environment is a hard and enduring task. I have been staying in DELHI NCR, since October, 2014. Here the air pollution has increased day by day. We have to take some steps and control the pollution. It is impossible that all the existing pollution problems in the environment can completely be resolved in the next decade. A wonderful and clean environment must be achieved by continuous planning, governmental policies and as well as public participation. We all should resolve to save the environment.